Cover Artwork: Image: Albert Pinkham Ryder, American, 1847-1917 Constance, 1896 (detail) Oil on canvas 70.8 x 90.49 cm (27 7/8 x 35 5/8 in.) Museum of Fine Arts, Boston A. Shuman Collection-Abraham Shuman Fund, 45.770 Photograph © 2017 Museum of Fine Arts, Boston. Of course, a poet leans first toward the most heart-rending, rawly skinning connotation of “rendering”: a delivery, a surrender. Something important is yielded, even to the melting point. Sometimes the “destination,” as in the title poem, comes as a complete shock. A self has shifted when we weren’t looking. Unsheltered and unnumbed. 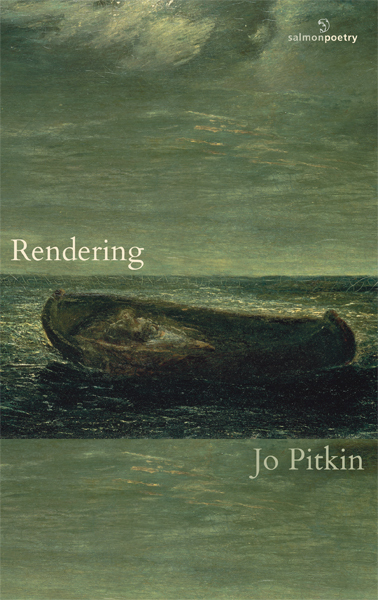 The path through passion, for instance, can be marked by “a chipped, mismatched cup”; once you’re there, “Hot, dark grief comes down the throat.” In each of Jo Pitkin’s poems, what isn’t seen at first insists on coming through with willing clarity. Jo Pitkin earned a BA in Creative Writing and Literature from Kirkland College and an MFA in Poetry from the Writers’ Workshop at the University of Iowa. She is the author of The Measure (Finishing Line Press), Cradle of the American Circus: Poems from Somers, New York (The History Press), and Commonplace Invasions (Salmon Poetry) and editor of Lost Orchard: Prose and Poetry from the Kirkland College Community (State University of New York Press). Her poems have appeared in journals and anthologies including The New York Review of Books, Little Star, Quarterly West, Salamander, Southern Humanities Review, Terrain, Crab Orchard Review, Nimrod International Journal, A Slant of Light: Contemporary Women Writers of the Hudson Valley, Even the Daybreak: 35 Years of Salmon Poetry, and Raising Lilly Ledbetter: Women Poets Occupy the Workspace. 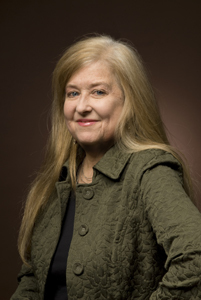 After working as an editor at Houghton Mifflin Company, Jo pursued a career as a freelance writer for educational publishers throughout the United States. She lives and works in New York’s Hudson River Valley at the river’s narrowest and deepest point. a dilution of murex, acacia gum, oil of flax. Spark. Flame. The drum of avid concentration. eyes, calcimine skin, resinous cascade of hair. spidery red webs and nodes, a germ, stray fibers. He holds the canvas like stretched skin on a frame. he unveils his finished Portrait of Jo, nothing is there. shiny—even my memory of its essence altered. wheels like paper in the loose weave of the air.